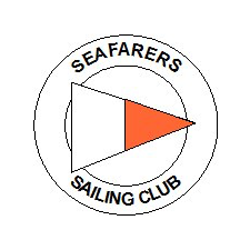 Seafarers Sailing Club is a small, friendly club formed to encourage the sport of dinghy sailing by the provision of racing, cruising and training. The clubhouse is situated on the Solent between Hill Head and Lee-on-Solent overlooking the Isle of Wight. The Club has approximately 130 paying members. As the majority have “family” membership, the number of people entitled to use our facilities is over 200. There are over 100 boat spaces in the compound which is usually just sufficient to meet members’ demands.